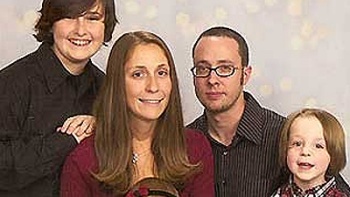 The family of Jennifer Strange, who died of water poisoning after drinking large quantities of water without going to the bathroom in order to win a Nintendo Wii, has been awarded $16 million in compensation for her death. In 2007, Sacramento radio station KDND-FM held a contest called "Hold Your Wee For a Wii," in which contestants were asked to see how long they could go without urinating while drinking constant water, and the winner would receive a then-hard-to-find Nintendo Wii. 28-year-old Jennifer Strange, mother of three, entered the contest in an attempt to win the console for her children. After drinking two gallons (7.5 liters) of water, Strange placed second in the competition. She went home from work early complaining about a headache, and was later found dead in her home, a death that was attributed to water intoxication.